All-Pro Mechanical is proud to serve the Hastings community! About Hastings, MI - Happy to be your hometown Heating & Air Conditioning Contractor! Hastings is the county seat of Barry County, Michigan, and the population as of 2010 was 7,350. 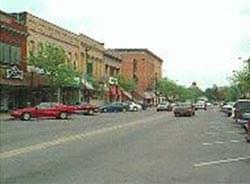 It is part of the Grand Rapids-Wyoming metropolitan area and has been given the title of "One of the best 100 small towns in America." The climate for this region of the state is a typical Midwestern, humid continental zone with cold winters that feature significant snowfall. Summer months are often humid and quite warm. Hastings is home to several attractions that may interest residents or visitors to the area. Outdoor areas include Charlton Park and the Whispering Waters Campground. The Pierce Cedar Creek Institute is an environmental education center, and people who wish to host a special event often chose the Ever After Banquet Hall. Fishing and hunting enthusiasts may also enjoy a trip to Bobâ€™s Gun and Tackle Shop.